Pyslocke | The Captain Britain fans' page and blog. The Captain Britain fans' page and blog. 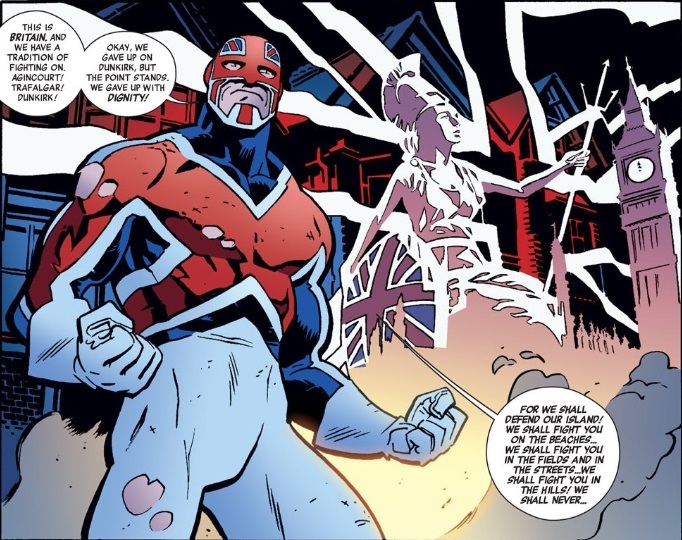 All the news, reviews and facts about Captain Britain you'll ever need. The complete Captain Britain comic book guide. Welcome to the Captain Britain fan’s page and blog. UK newspaper labels Captain Britain lame. So I’m scouring the news from last week about Olivia Munn getting the role of Captain Britain’s sister Psylocke in Bryan Singer’s next X-Men film, when one article caught my eye. Now everyone is entitled to their opinions I have no issues with that, but when Captain Britain is labelled lame and a knock off character then I have to wonder why the writer feels that way without going into detail. Certainly Captain Britain was influenced by Captain America, but his early career was based more on Spider-Man’s adventures see my article here. As for the lameness it cannot be denied that Captain Britain hasn’t always come out well depending on who was writing him at the time, but name me another hero who has had a stellar career from launch to present day, and has never gone through a “lame” patch. Interestingly the Telegraph also produced this article about Captain Britain written from a much wider perspective and listing five odd – to me – reasons as to why we need him now, though I did love the inspired casting of Captain Britain at the end. Yes I know I shouldn’t be surprised at a Captain Britain slur, hell sometimes I wonder if even his owners Marvel love him at all, but sometimes my cage is rattled too violently and then I have to try to get answers. Speaking of answers I’ve written to the Telegraph asking if they can elaborate on the “lame” labeling of Captain Britain, and offering to write for nothing an article that proves he’s the complete opposite. Watch this space. The Captain Britain Fans’ page and Blog Closes. Captain Britain at Wimbledon. The joyful insanity that is Spidey Super Stories 32. Have Marvel forgotten to announce the Captain Britain Movie? Captain Britain ( briefly ) meets Miracleman. Captain Britain and the Walking Dead.